The Greenstar CDi Classic is a system gas boiler with an output of 35kW. 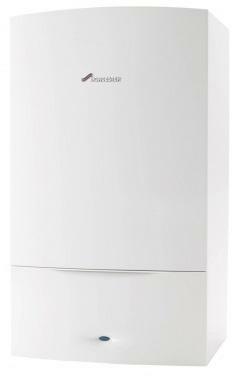 It is a highly efficient wall mounted boiler created by Worcester Bosch. It can be used in conjunction with the Worcester Bosch Greenstore cylinder, allowing you to have hot water stored and rapidly replenished. It comes with the highest central heating output in the Greenstar system boiler range. It is a very simply designed boiler with control knobs and digital displays. The CDi Classic is know for setting the heating industry benchmark for efficiency with it helping to reduce energy usage greatly! This model comes with a low energy pump to reduce electrical usage, as well as this it come with frost protection to protect it from those cold frosty months if installed in a garage or loft. The Greenstar is compatible with Greenskies solar panels, helping to cut your bills down and save you even more energy. There is a wide choice of controls that enable greater comfort and economy with it also having a large condensesure style siphon built in to help eliminate frost risk.